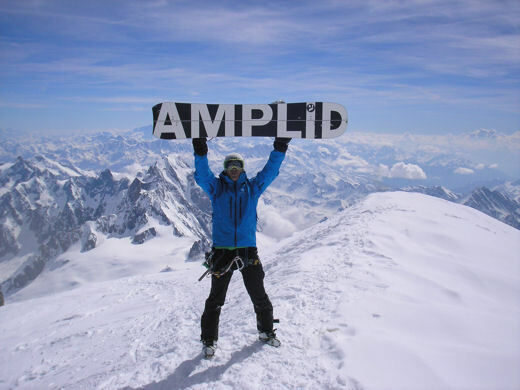 “On June 8th, for the first time in history, an Amplid Morning Glory Splitboard reached the top of Mont Blanc! I reached the summit after waking up at 1am and hiking for 8 hours, it was quite technical and hard at the end (I had no crampons on my spark bindings) but I had perfect weather conditions. 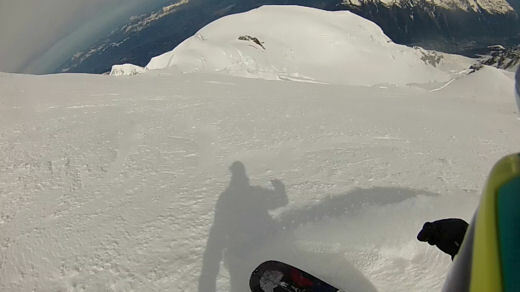 I dropped-in shortly after reaching the peak into the North Face with incredible powder, and 2500m of vertical drop! 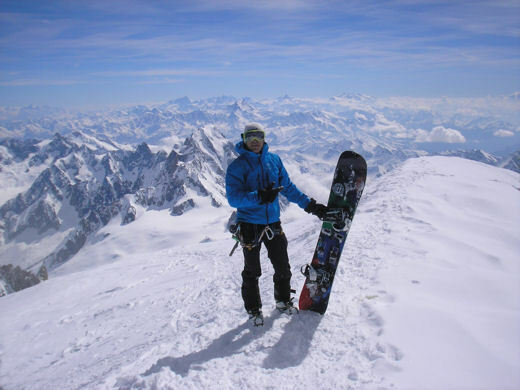 The superlight Amplid Morning Glory Splitboard will be available from September and includes custom cut Kohla climbing skins and Karakoram board clips. 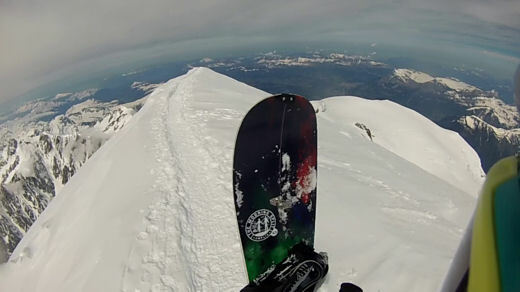 It is designed for effortless ascents and pow surfing descents.